We invite you to learn more about this hotels Park Royal Puerto Vallarta and the Crowne Plaza Mazatlán, as well as other points of interest in this new exciting destination. Located south of Banderas Bay is this spacious hotel with white walls, surrounded by gardens, cascades and private golden sandy beaches. One of its key attractions is the private beach. Amenities include a swimming pool with bar, gym, tennis courts, two restaurants and a lobby lounge bar. The 120 air-conditioned suites have terraces with ocean views, TV screen with cable, Wi-Fi, and many other details to insure a comfortable stay. Indulge in a new sense of wellbeing at the world-class Spa. Treat yourself to a relaxing massage. 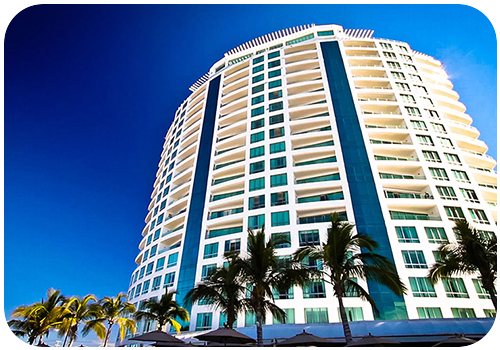 Located in the Mazatlán marina, close to the International Convention Centre, this welcoming, intimate and serene hotel boasts beautiful rooms overlooking the ocean, a heated Infinity pool, 24-hour room service, spa, gym, specialty restaurants, sushi and snack bars. Thanks to its vast white sandy beaches Mazatlán is one of Mexico’s most alluring seaside destinations. Head straight for the city’s old town and its glorious boardwalk, where you can view magic sunsets from bars and restaurants that still evoke the 1950’s. One of the most charming destinations in Mexico for its climate, seventeen miles of Golden beaches, lagoons and the longest boardwalk of Latin America. Mazatlán is a multifaceted city, which attracts artists, surfers, culture lovers, sun worshippers and those in search luxury and the best gastronomy. Strolling its quaint cobbled streets full of markets, outdoor cafés, churches and squares is a wonderful experience. Essential visits where to take a selfie are the Ángela Peralta Theater and the Basilic Cathedral. Here you will find exclusive hotels, golf courses, spas, nightclubs, shops, bars and restaurants serving exquisite signature cuisine. The specialty is seafood and fish. Regional dishes include ceviches, seafood cocktails, pescado zarandeado (the fish is typically split in half from head to tail, each side perfectly marinated) and aguachile (thin sliced fish, scallops or shrimp, drowned in lime or other citric juice mixed with red or green pepper, and heavily garnished with sliced cucumbers, red onions, and avocado). Mazatlan’s Mardi Gras is one of the national biggest and best bashes in Mexico. This seven-day, multi-event affair, which starts 5 days before Lent (in a time of meditation and religious ceremonies when the pleasures of the flesh are put on hold), features parades, decorated floats, fancy dress balls, and music. Each evening Olas Altas is the perfect scenario for this all-singing, all-dancing “bacchanalia”. The partying usually goes non-stop until 4 am, so make time for a siesta. 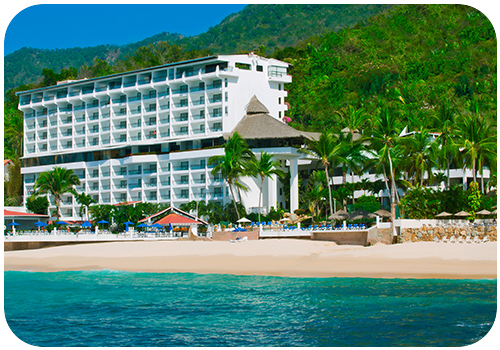 Take advantage of your Royal Holiday membership and plan a trip to this amazing coastal destination or head to Vallarta and stay at Park Royal Puerto Vallarta. Either one will dazzle you!